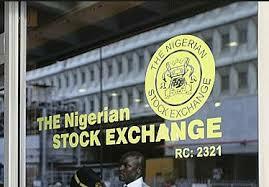 Nigeria’s top ranking shares trading exchange, The Nigerian Stock Exchange, Thursday announced it was launching a marketing campaign across different media platforms aimed at providing enlightenment to potential investors and boost their participation in the capital market in the country. The campaign will target potential investors with informative material about the various innovative investment offering at the capital market. The NSE has tagged it ‘Multi- asset Brand Campaign‘. According to a statement by the NSE made available to business a.m., with the theme, “The Multi-Asset Sustainable Exchange”, the campaign will be featured across print, broadcast, outdoor and digital media to amplify the Exchange’s credential as a leading securities exchange that provides investors with varied investment options such as Stock, Fixed Income, Exchanged Traded Products (ETPs) and more,” the NSE explained. Olumide Orojimi, head, corporate communications said, the campaign is coming against the backdrop of the innovative offerings NSE has birthed since its intentional transformation that commenced in 2011. “During this period, the Exchange has achieved phenomenal milestones, deployed cutting edge technology for trading and the use of artificial intelligence to monitor its market; upscale securities in its market with the flagship listing of the first Sovereign Green Bond in an emerging market; establishment of an investors protection fund; launch of a corporate governance rating system and more recently the unveiling of the NSE Sustainability Disclosure Guidelines for quoted companies”. “As the Exchange transits to a demutualized Exchange, its credential as multi-asset securities Exchange will be adequately communicated through series of creative messaging in this campaign. While investors’ appetite for capital market products continues to evolve, this campaign highlights NSE’s offering which transcends stocks. We are committed to driving sustainable products, responsible investment in a market that is orderly and transparent whilst leveraging cutting edge technology. This commitment is shared by all of our employees who continue to champion the development of new and improved experience for investors in our market”, said Orojimi.